Royal Randwick is the only place in Sydney to witness live racing action on the first Tuesday in November. One of the biggest days in the spring calendar, the day features a vibrant social scene with award winning hospitality for you, your colleagues and friends alike. 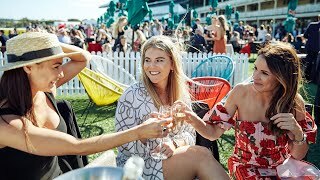 Witness the action from Flemington live on the screens around the course whilst enjoying a nine race fixture on the track at Royal Randwick.